If you are persistent, you will get it! Such was the passion of Utkarsh Abhinav from grade 7 of Presidium Dwarka 16B, who has won the prestigious 2nd position in the Zonal Level Slogan Writing Competition organized by DOE. The competition was conducted on 14th July, 2017 at the Govt. Co-Ed Senior Secondary School, Dwarka. Around 30 other schools participated in this competition but the zeal and hardwork of our young Presidian outshined all the participants. 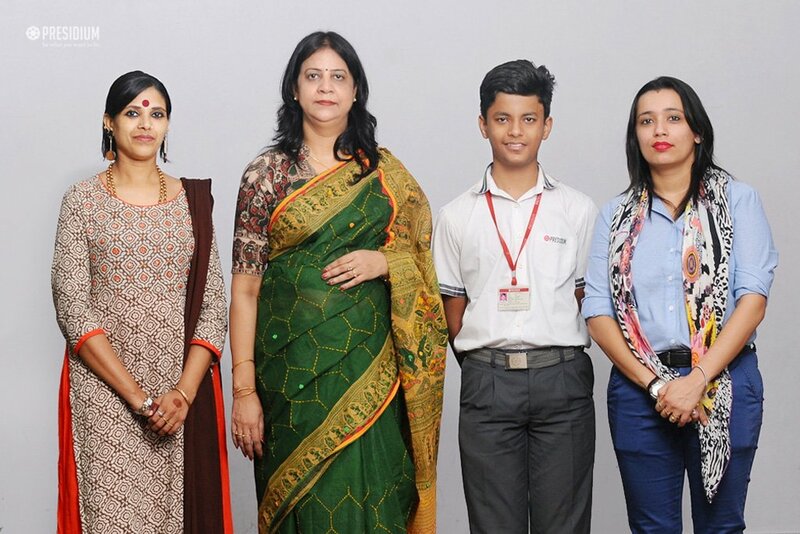 We are proud of Utkarsh and his mentor, Ms. Ushma Kohli!